I take Halloween very seriously. It is after all my favorite holiday. You might not be able to tell but I am listening to “Thriller” and wearing pretty sweet Halloween glasses right now. Themed writing at it’s finest! hahaha! Everything might be tinted orange. 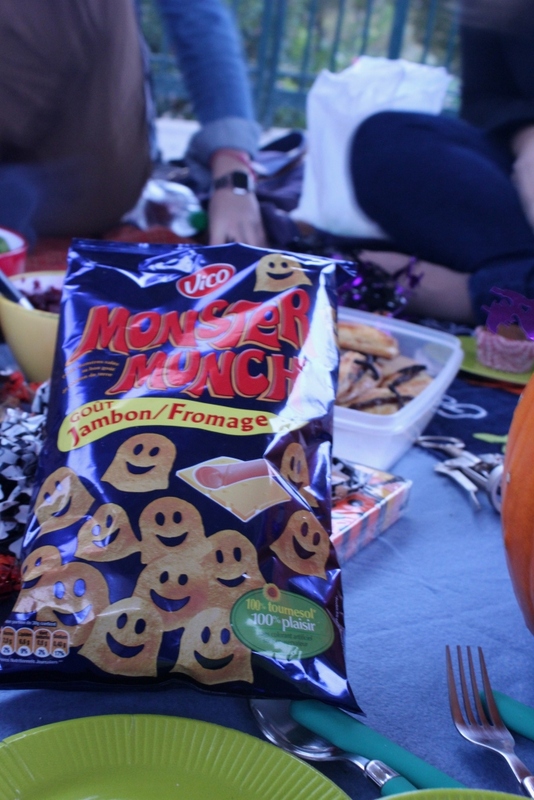 What do I LOVE about Halloween in the States? No not the excuse to dress in a super skimpy costume that everyone seems to use this holiday as an excuse for. Sad days! When I was young I loved the day, it would always be blustery and cold, we would have an orange themed dinner and then head out to go trick-or-treating around the neighborhood until late at night. Now, it’s just as fun -the old scary movies, decorations galore, pumpkin carving, and eating way too much candy while waiting for ridiculously cute kids to come by and say “Trick or Treat, Stinky Feet! Give me something good to eat!” hahaha! My family would go all out. Spiderwebs around the doorway, tons of cut out bats hanging from the ceiling in the foyer, a full Frankenstein with body parts on the dining room table, dry ice bubbling in a Calderon, oh and my favorite…. a little ghost that would make sounds when someone was near. We hung it from the tree in the front yard and then threaded the rope it was attached to through a small crack in a window at the front of the house. Then we would pull the ghost far up in the tree, hidden from those below, and lay in wait for Trick-or-Treaters to come by… BOO! tehehe! 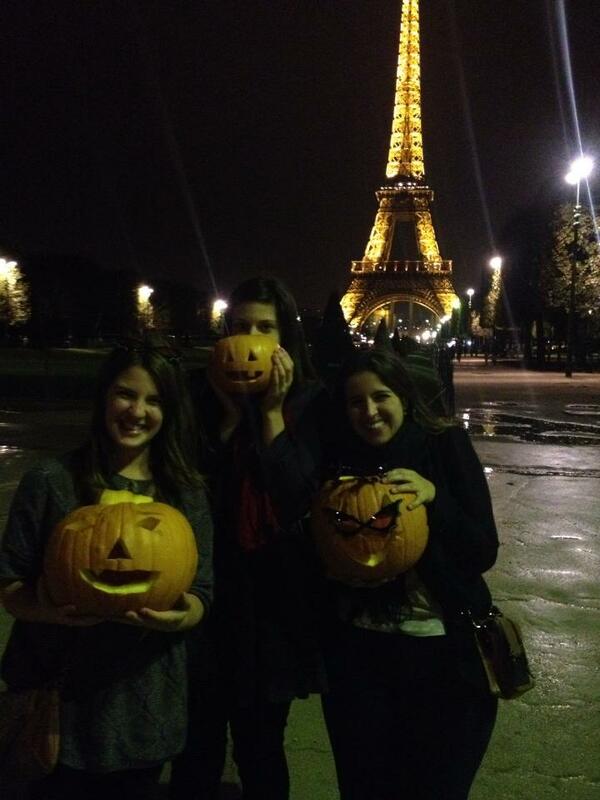 Halloween in Paris has been a bit different. haha! It actually started this year on my birthday with an awesome box from my coworkers that contained… Halloween themed candy!! What! You know me too well! 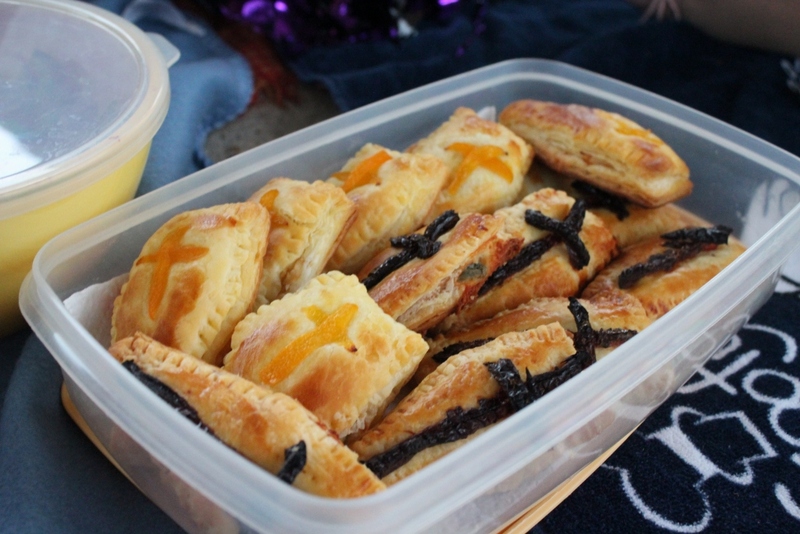 The sickeningly sweet, totally awesome, shaped pumpkins and ghosts and witches! Ah yumm! 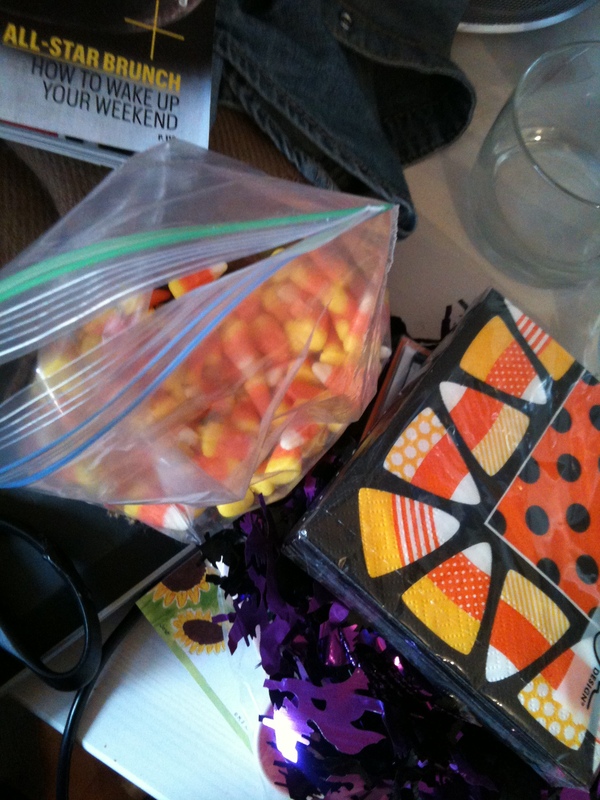 Then I received a box from mi madre with candy corn (which I proceeded to eat within 48 hours), 10 cookie cutters, decorations, and themed napkins!! 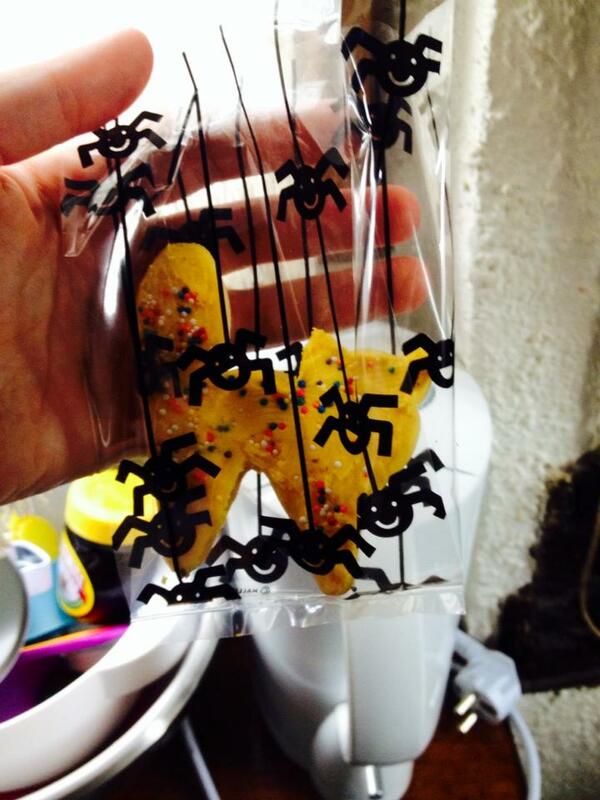 The cookie cutters I used to make a …. 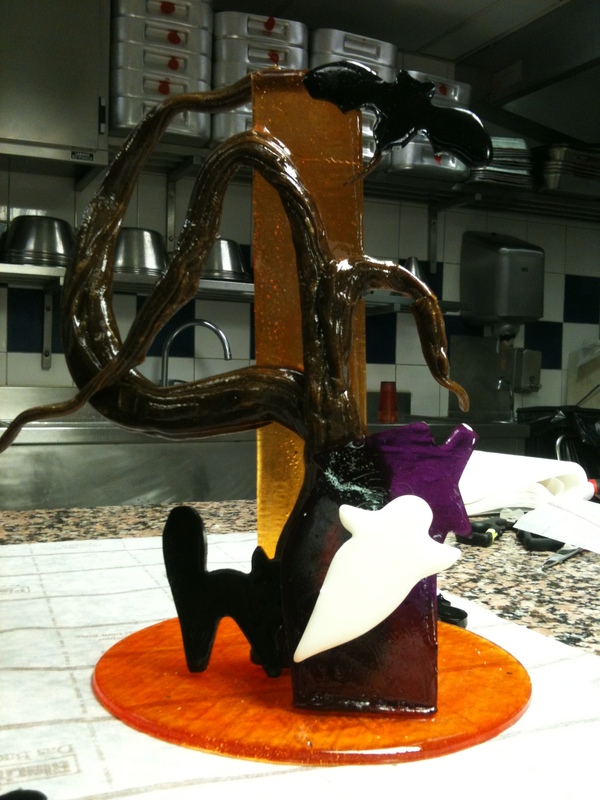 Halloween Sculpture in class … entirely out of Sugar! 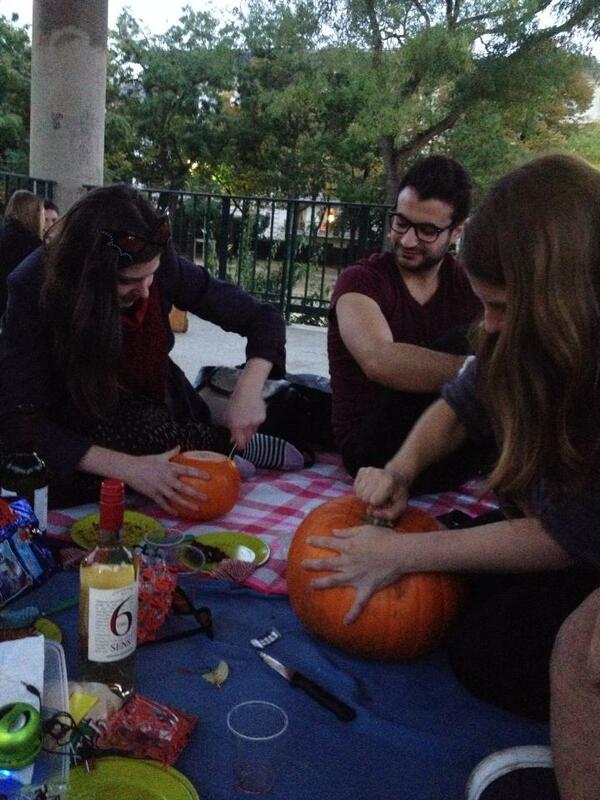 And then there was the search for the great pumpkin. 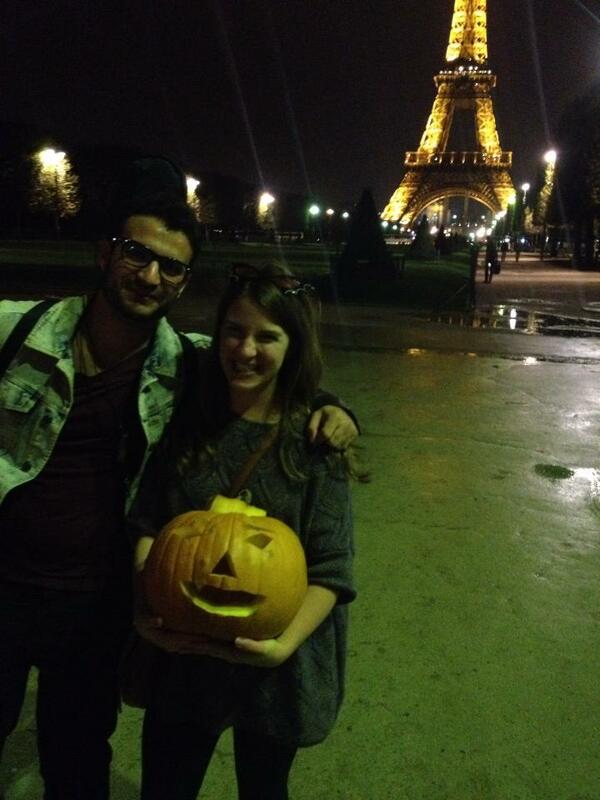 Halloween isn’t a big holiday in France so I thought this would prove to be next to near impossible. But sure enough, just about a week before Halloween I started to see Jack o’ Lantern pumpkins popping up all over the place. Well not everywhere but I did happen to find one relatively easily at my local flower shop. 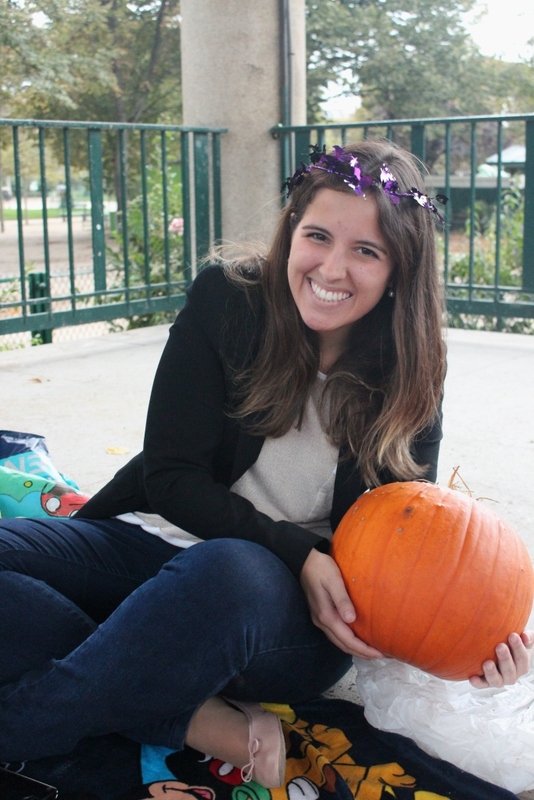 Pop over to Sara in La Petit Village for the Story of the Jack O’Lantern! A very late night out lead to a pumpkin spice latte at Starbucks in the morning (how dare they be out!) 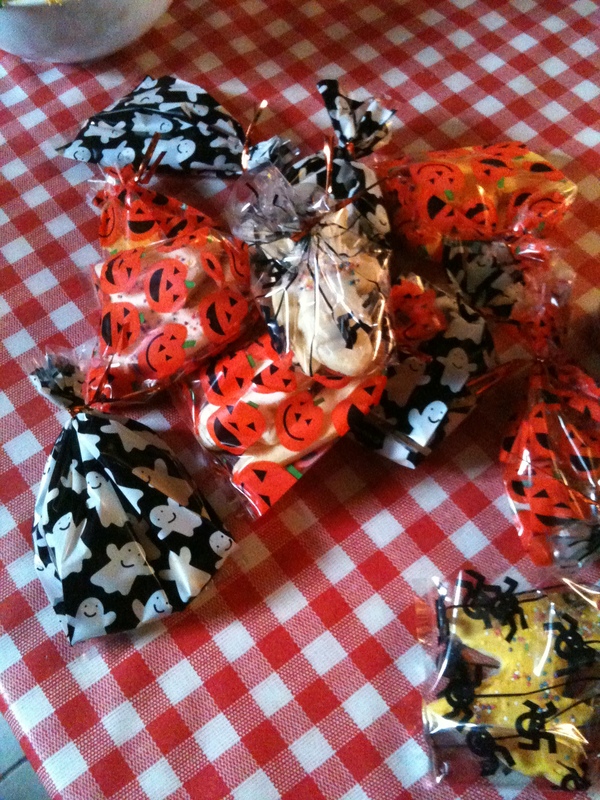 and cookie making at Jenni’s for a Halloween picnic! We all met at the Champ de Mars and found a covered spot because the weather was looking a bit gloomy due to hurricane Stormaggadeon that was blowing through! 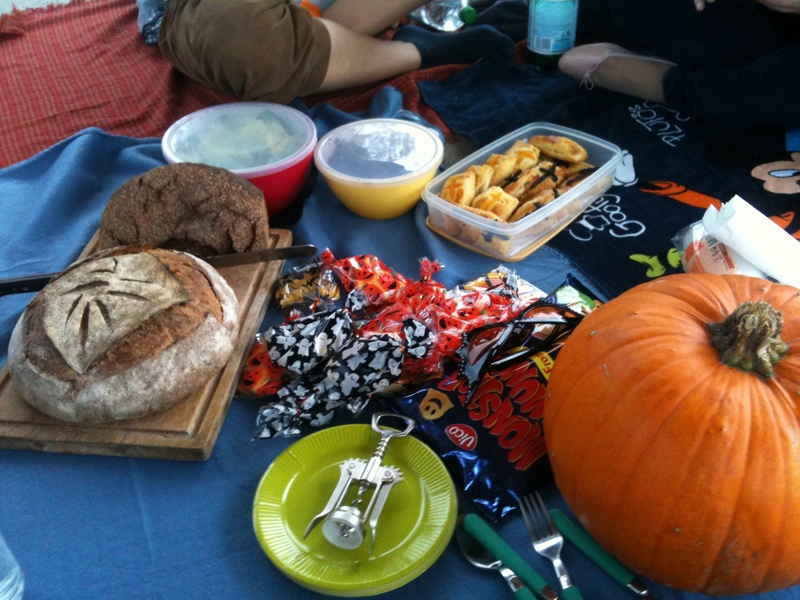 And had a pretty awesome Halloween spread complete with guitar music by Amin! 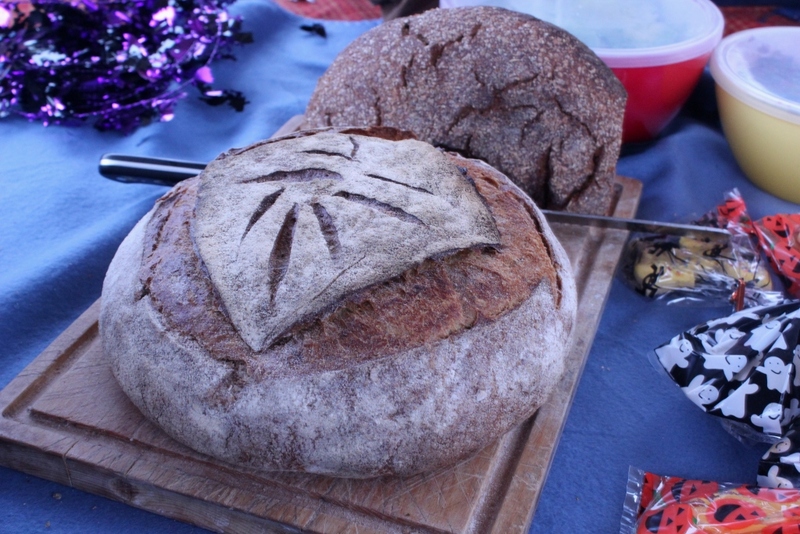 We also had wine, cheese, beetroot salad, rye bread, my Halloween sugar cookies and two types of muffins (pumpkin and banana!)! Yummm!!! I’m off to Disneyland tomorrow for their Halloween celebration! Super excited! Now what to dress up as! 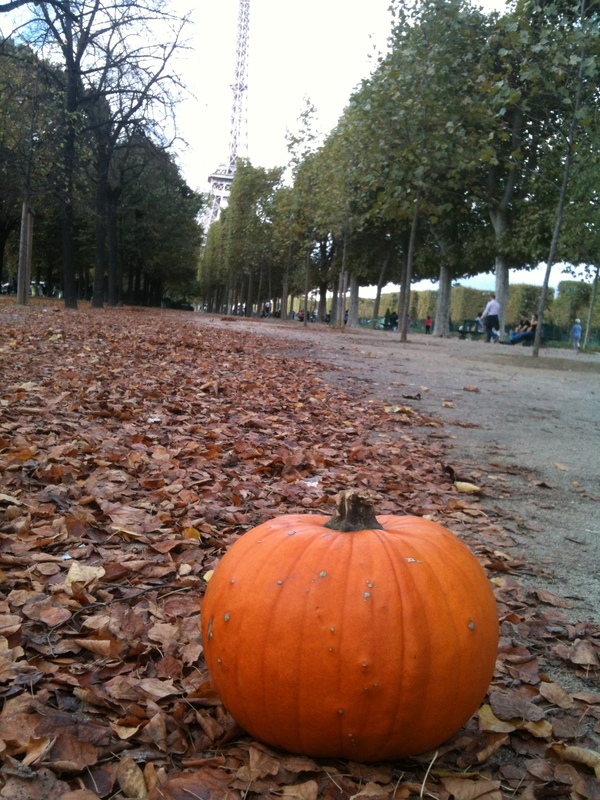 I’m so happy to see you keeping the spirit of the Great Pumpkin alive in France! Loved this post! 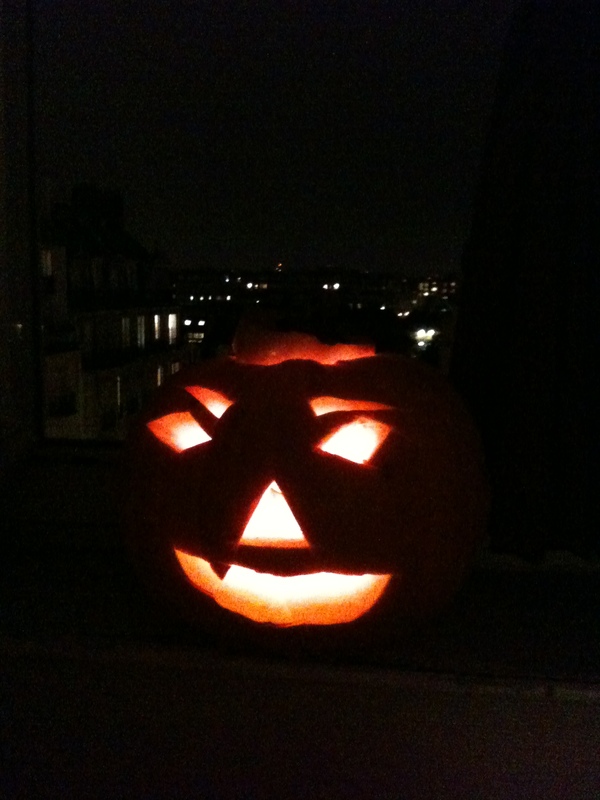 I really miss Halloween as well – looks like you did a good job of keeping the spirit alive!